Various magazines are usually saturated with articles about healthy nutriment, systematic exercise and diverse cosmetic treatments, all for the purpose of achieving and maintaining attractive body that would be shown in public. Surely you've seen on countless occasions such articles: how to get rid of excessive kilograms, how to correct certain „irregularities“ and how to have a perfect body, but I never, or very rarely, came across an article that would talk about how to accept your body. I believe that each person is beautiful and unique in its own way and that we should love our body, rather than aspire to look like someone else. „You're born an original, don't die a copy!“ I couldn't agree more with the title of John Mason's book and I'm a campaigner of the idea that it's imperative to embrace your body in its naturalness and cherish it for the right reasons because, as Jim Rohn said, „Take care of your body. 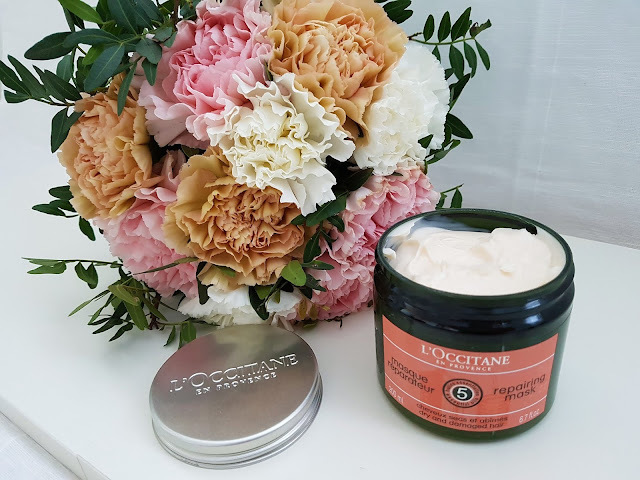 It's the only place you have to live.“ I have often heard comments what I should „fix“ on myself, but I listen to my body, respect its reactions and orderly nurse it with L'Occitane products, all the while enjoying in this beauty rituals that make me happy and after which I feel wonderful. L'Occitane is renowned for the natural constituents of its products and for divine, long-lasting scent which lingers on the body and hair. 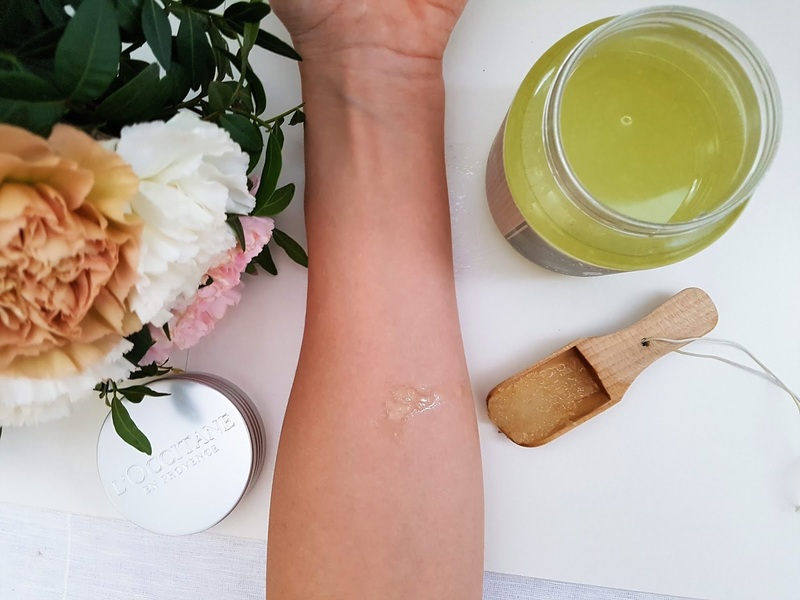 I was completely amazed by Néroli & Orchidée Lait Parfume Body Milk and Huile Parfumée Body Oil, the preparations that nourish and hydrates the skin providing silky softness after usage, and of which you can read more here or watch in YouTube video. Another skin care product that seized my delight is Verbena Body Salt Scrub. My skin care routine is impossible without peeling because it removes dead cells and render the skin tender and extremely sleeky. It synchronizes Mediterranean sea salts with refreshing smells of pure derivatives of verbena, orange, geranium and lemon, along with volatile oils of grapes, apricot and sweet almond that cultivates and moisturizes the skin. Anti-oxidative vitamin A assist with toning and retaining healthy appearance and doesn't contain alcohol, substances of animal origin, parabens, formaldehydes and mineral oils. Verbena is packed in a 400-gram glass jar, together with wooden spatula with which the product can be retrieved. What I like about this peeling is a mixture of salts and oils, and I use it in a manner that after showering I rub it between my palms and than apply on the skin. It glides easily due to oil, while grains of sea salt perform an efficient exfoliation. One spoon is sufficient for the whole body and after the massage I thoroughly rinse off the skin which is satinly suave upon touch. Thanks to this sumptuous scrub I can afford a spa treatment few times a week in the comfort of my home, which inevitably lifts my mood. I experience the awakening of all senses, primarily because of invigorating citrus fragrance that pervades me with energizing vitality. I pay special attention to the hand skin care 'cause they are constantly exposed to different predicaments, in particular during winter when the cold air enhances their susceptibility to dryness and cracking. I utilize hand cream several times a day and what's significant to me is quick absorption and absence of greasy trace. 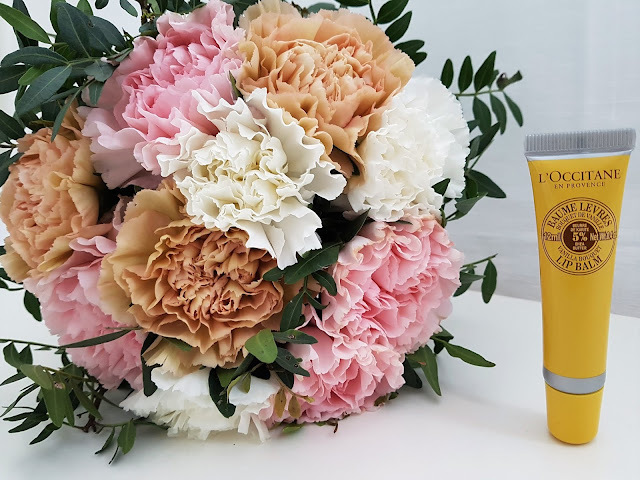 L'Occitane Shea Butter Hand Cream is among most celebrated and best selling products of this brand, and also one of my favorites hand creams. Enriched with 20% of Shea butter, accumulating honey, hazelnut and coconut oil, it's ideal for winter and since I've been using it not once has happened that my hands were parched or raspy. Beside that one, I'm likewise highly approving of Cherry Blossom Petal-Soft Hand Cream. 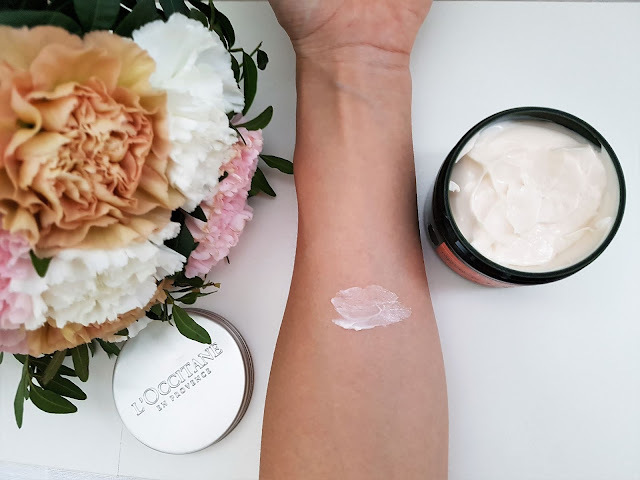 Unlike the above mentioned, this cream is less dense in texture, so it's more suitable for spring and summer. Although the odor is not a key factor, Cherry Blossom aroma can be felt long after the application and that's undeniably a plus. It's distinguished by Shea butter, vitamin E and Luberon cherry. Like other L'Occitane products, it's free of alcohol, formaldehyde, gluten, parabens and synthetic dyes. I just adore mild and non-oily texture, as well as fragrant, supple and finely leveled skin in which it results. If you are reading my blog you must've noticed how paramount the lip care is to me and that I can't imagine my life without lip balms. In YouTube video and in post I presented my collection of balms featuring Chanel Rouge Coco Baume, Elizabeth Arden Eight Hour Cream Lip Protectant Stick, Lancôme Juicy Tubes, L'Occitane Shea Ultra Rich and Vanilla Bouquet with 5% of Shea butter. I prefer the last two over winter because they nourish, hydrates and keeps the lips napless, and the coalition of the Shea butter scent and vanilla is utterly welcoming. A practical applicator allows it to be effortlessly squeezed out of the tube, simply employed and comfortably coated, procuring the facile gloss and protection from unfavorable external conditions. I exploit L'Occitane products for the hair care too, namely Sublime Repairing Hair Mask with 5 essential oils for dry and damaged hair. 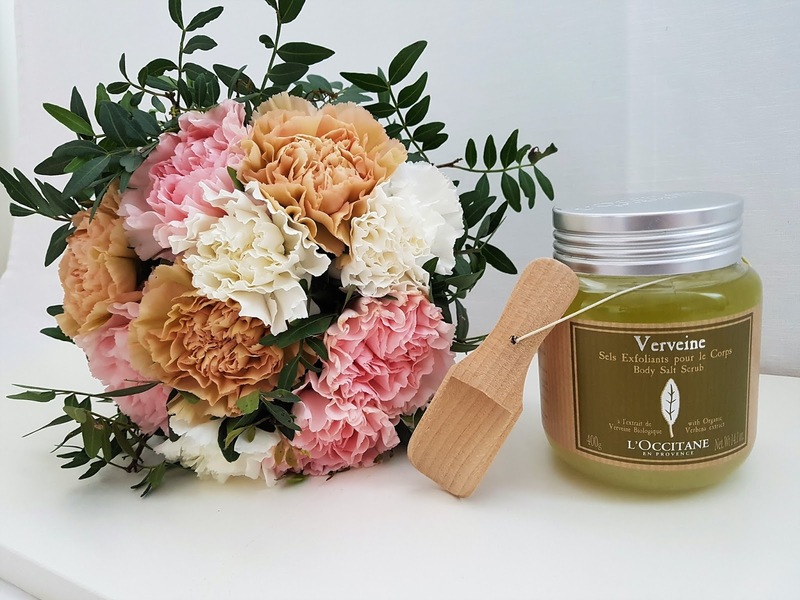 The formula unites the complex of angelica with patented efficacy against brittleness, the sunflower oil and oat amino acids that aids the renewal of hair fibers and cocktail of aetherolea of ylang-ylang, sweet orange, lavender, geranium and angelica which tones, soothes the scalp and gently aromatizes the hair. This regenerating mask with plentiful silken texture improves the hair strength, while veiling it in a shroud of intensive reparation, preventing splitting under the comb and generating the hair shine. My hair is pretty thin and, until I discovered this one, I've been browsing extensively for a mask that wouldn't additionally weight it down, but would offer it the glow, safegurad and buoyant liveliness. Even after the initial usage I perceived the distinction – my hair was greatly soft and glittering, as if the natural luster has surfaced. 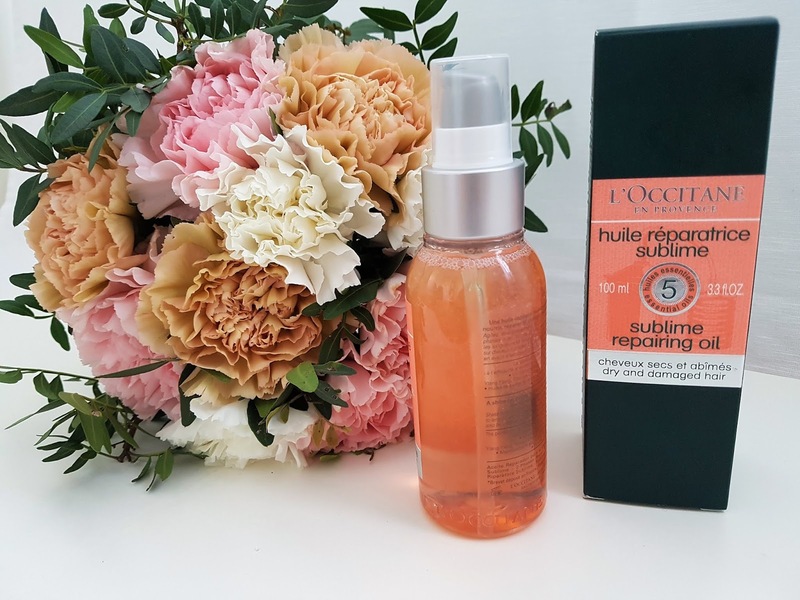 By each subsequent implementation my hair looked better and now, when I dry it and pass through it with my hand, it is flawlessly delicate, exquisite and glossy. In collusion with the mask I make avail of L'Occitane Sublime Repairing Oil from the same line, which I apply before hair drying. This bi-phased oil includes 98% of carefully selected natural ingredients and 5 essential oils that sustain, reaffirm, hydrates and shields the impaired hair and bestow it a strong radiance. I use it after the hair wash, when I shake it to merge the elements, than I place two doses on my palms, smear it, cover the lengths and ends and finally dry my hair. As with the mask, the oil whiff is durable for days. As I have stated at the beginning, it's of utmost concern to care for my body with quality products and L'Occitane belongs to the top class and is one of my dearest brands, to a large extent because of natural components and hydration. 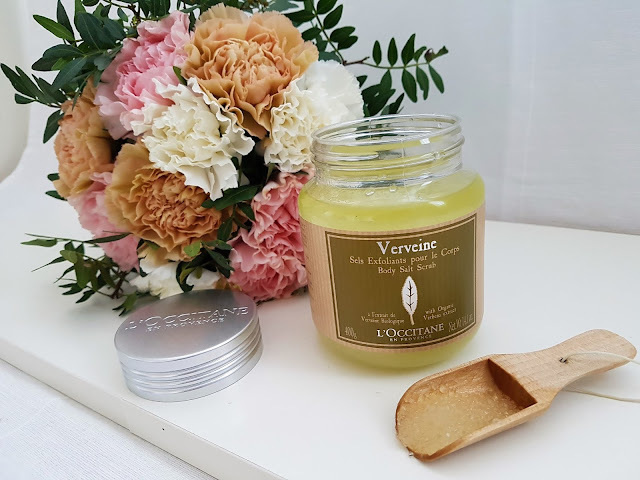 I just love to pamper myself at home with these small spa rituals, the outcome of which is a mesmerizing and heavenly body scent that follows me for the entire day. Have you tried any of the described products? What are your impressions? Write me in the comments. These products are really amazing! Would love to try this salt scrub! I love this brand. we share same love for L'Occitane brand! I adore it! When you try scrub I would like to hear your impressions about it and do you love it as much as I do. I completely agree with you! 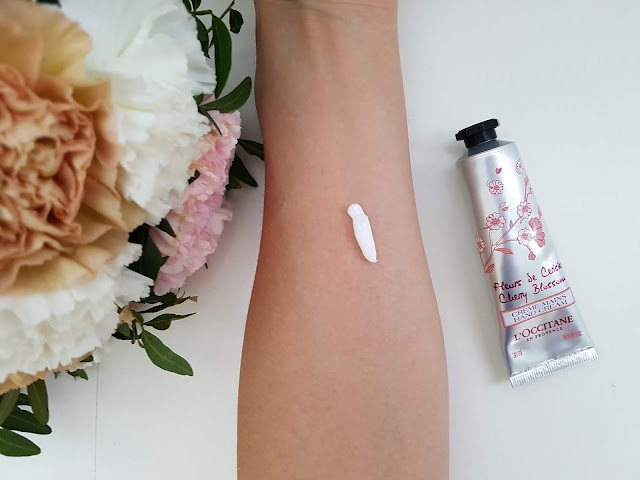 I only use L'Occitane hand creams and they are perfect for my hands! The L'Occitane sounds wonderful. I know I've tried something of theirs in sample form but can't remember what it was. I didn't realize they did hair products too. All of these products sound wonderful! I love that they leave a lingering scent, too. Great job reviewing them and great job on the video. And your photos are arranged beautifully! Thank you so much for your beautiful words! They mean a lot to me and I really appreciate it! 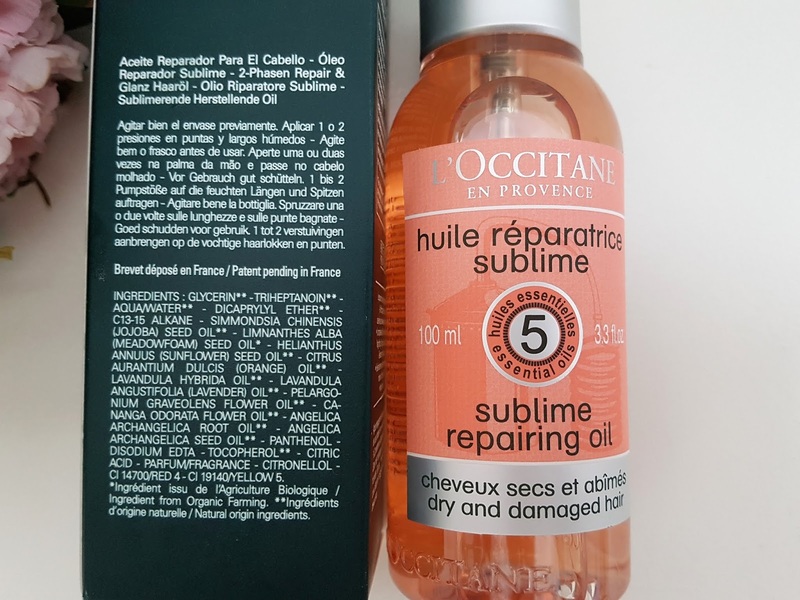 L'Occitane have hair products and after I discovered them only use them! My hair really love mask and oil and I adore gorgeous scent of them! Thank you so much, dear Pathy! They sound like amazing products, it's a must try! These products are really amazing! When you try them I would like to hear which one you pick for yourself and your impressions about it! 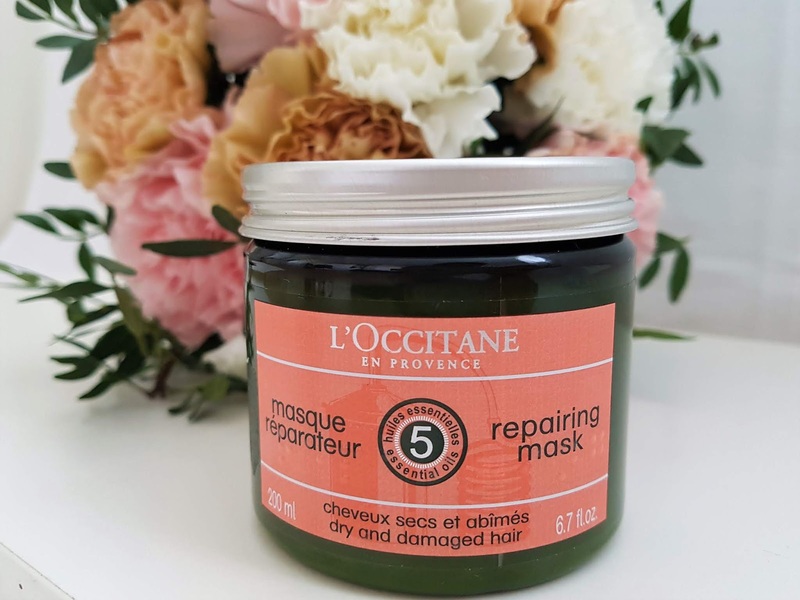 I'm happy to hear that we share same love for L'Occitne brand and you, as me find many great products for yourself from their collections! You are completely right! All of these products are really great and have gorgeous scent! You are completely right! All of these products are great for skin or hair care and have amazing scent! I adore all of them! Wish you a beautiful new week! Thank you so much for your beautiful words, dear Mina! They mean a lot to me and I really appreciate it! The range sounds amazing ! I haven't tried anything from this scent range from Loccitane before but the shea butter range is currently my favourite. I completely understand you! Shea butter range is amazing especially hand cream. It is my favorite cream during winter months! If you try some of these products I would like to hear what you pick for yourself and your opinion about products! Hvala ti puno! Drago mi je čuti da ti se sviđaju fotografijje! To mi jako puno znači jer stvarno se trudim napraviti najbolje moguće fotke svakog proizvoda kojeg predstavljam na blogu! This is a pretty looking set. You are completely right! All of these products are great and expect beautiful packaging have great formula and scent! I'm happy to hear that you like L'occitane brand and their products! 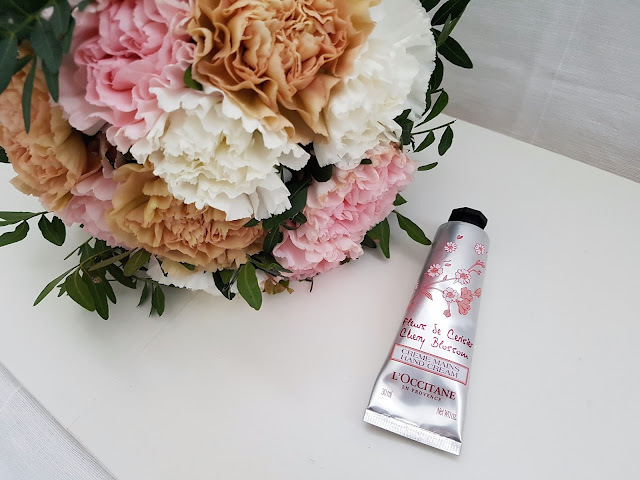 Never before tried Victoria Secrets hand cream, but I have few fragrances and they smells divine. Maybe one day I would check hand cream! I've been hearing great things about this brand, but have yet to actually try it. Thanks for the great review. I definitely need to check out some of these products. You are welcome, dear Kathrin! I'm sure that everything what you heard about this brand is true because L'Occitane have amazing products! When you try some of them I would like to hear what you pick for yourself and your impressions about it! So many beautiful products, here! we share same love for L'Occitane brand because I adore it! All of these products are great and have amazing scent! Wish you amazing new week! Čine se odlični ovi proizvodi, pogotovo ova maska za kosu. Peeling isto super izgleda. U potpunosti si u pravu! Peeling i maska su moji omiljeni proizvodi jer izvrsno rade svoj posao i uz to imaju predivan miris! Thank you so much for your beautiful words! They mean a lot to me and I'm glad to hear that you like my blog! I really appreciate it! This mask is for dry and damaged hair and after I started use it I notice huge difference because my hair is more healthier, softy and shiny! When you try this mask I would like to hear your impressions about it and do you love it as much as I do. I have never tried any of theses products but they looks good. 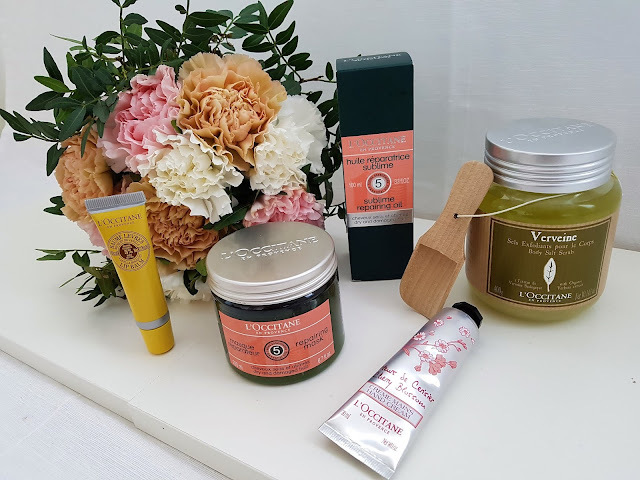 These L'Occitane products are really great! If you try some of them I would like to hear which one you pick for yourself and your opinion about it! This body scrub is great product! When you try it I would like to hear your impressions about it and do you love it, as much as I do. I didn't know the brand, but this lip balm seems to be amazing! You are completely right! 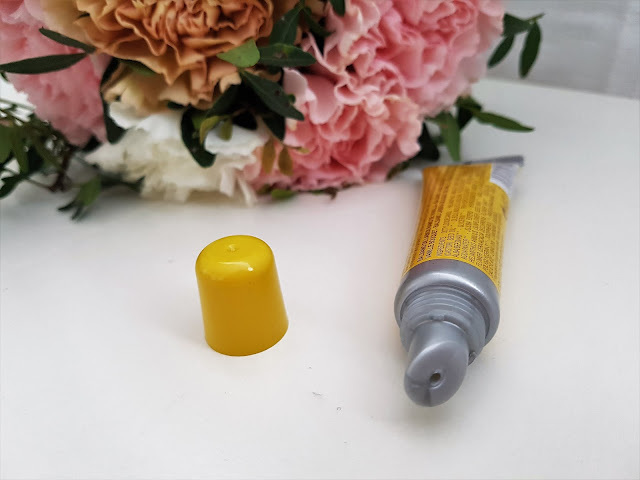 This lip balm is my favorite during winter months because it have Shea butter that nurtures lips and beautiful vanilla scent! I love Loccitane! Great post! Thank you so much for your kind words! I really appreciate it! We share same love for L'Occitane products because I also adore them! You are completely right! These products are incredible for skin and hair care! L'Occitane hair oil is great product! I really like it! This is super informative dear. Great explain you have here. Thanks for sharing! I'm happy to hear that you like this post and find useful information! That mean a lot to me! Thank you so much for your beautiful words! They mean a lot to me and I'm happy to hear that your like this post! 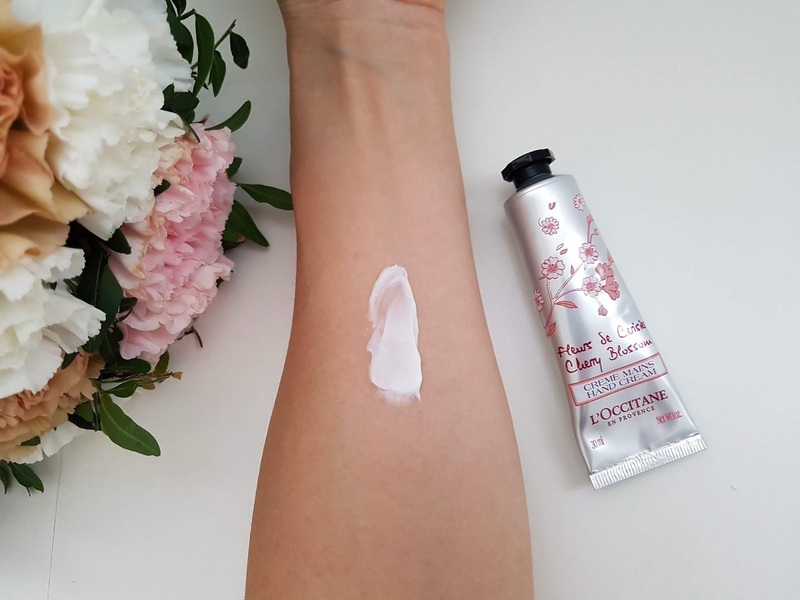 Cherry Blossom hand cream is great product from packaging to the product inside! I really love it! Amazing products would love to try out the body scrub! 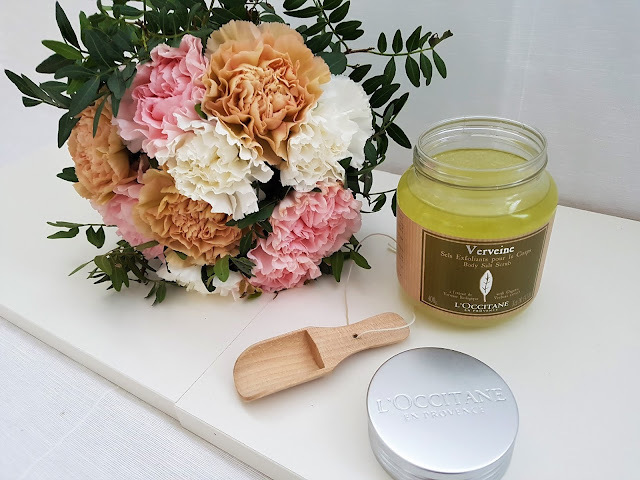 When you try L'Occitane body scrub I would like to hear your impressions about it and do you love it, as much as I do. Have a beautiful new day! I love L'Occitane products! They are seriously the best! I haven't tried their salt scrub, but definitely want to! I'm happy to hear that we share same opinion about L'Occitane products! I also love all of their products and every of them was great for my skin and hair. They have great ingredients, texture and wonderful scent! 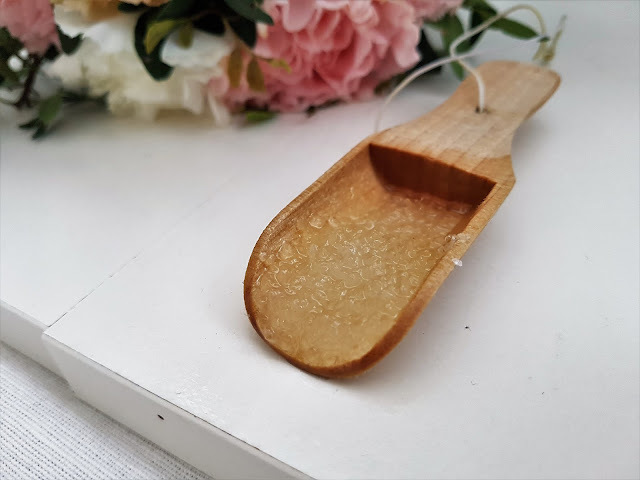 When you try this body scrub I would like to hear your opinion about it and do you love it, as much as I do. I need to try all of these products! Thanks for sharing! You are welcome, dear Nina! When you try some of these products I would like to hear which one you pick for yourself and your opinion about it! I love this brand. Would love to try this salt scrub. We share same love for L'Occitane brand! I also adore it and all of products! When you try this body scrub I would like to hear your impressions about it and do you love it, as much as I do. I love Loccitane products. The hand cream must be amazing. I'm happy to hear that we share same love for L'Occitane products! They are one of my favorite! Cherry Blossom hand cream is amazing product. It has great texture and divine scent! You are welcome, dear Cris! Thank you so much for your beautiful words. They mean a lot to me and I really appreciate it! The pictures are so pretty! It looks like from editorial. Thank you so much for your amazing words! I'm happy to hear that you like photos! That mean a lot to me! L'Occitane is brand with long history! They have amazing products and I love all of them! Great products and great post! Thank you so much, dear Ale! I'm happy to hear that you like post! That mean a lot to me! You are completely right! These products are amazing from texture to scent! I really love them! These products are really amazing! When you try some of them I would like to hear which one you pick for yourself and your opinion about them and do you love them as much as I do. Great post dear, amazing photos too! Thank you so much for your beautiful words! They mean a lot to me and I'm happy to hear that you like post and photos! When you try these products I would like to hear your impressions about them! This brand is well known here too, I loved knowing the products through their beautiful photos! Have a great day. I'm very happy because L'Occitane products are all around world because they are great for face, skin and hair care! Yes to these products. I would mind trying em at all. When you try these products I would like to hear your opinion about them and do you love them as much as I do! This brand sames good, I have been trying different stuffs too. 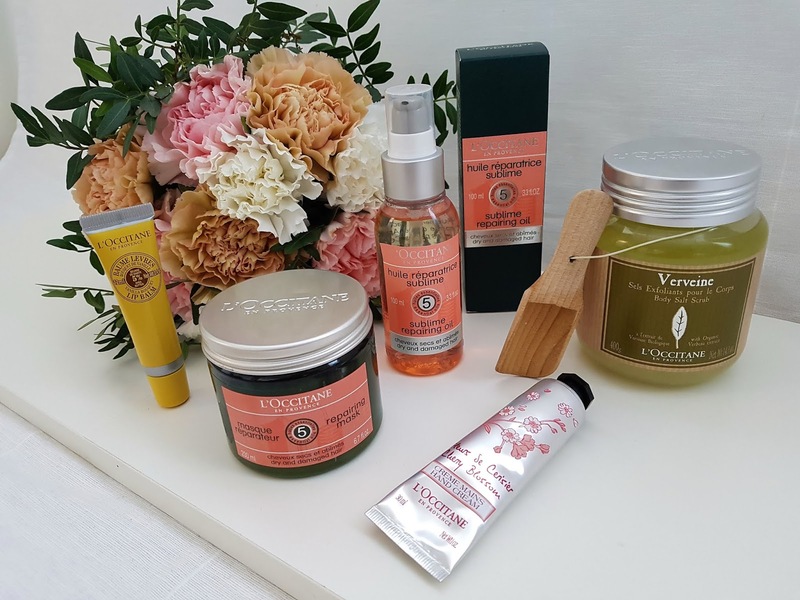 L'Occitane have great products with amazing scent for face, skin and hair care! I love all of them and hope so that you will find your favorite too! Thank you so much! I really appreciate your words and you are completely right! These L'Occitane products are amazing! Hi! I would like to try many products of that brand, specially the body scrub. Have a nice day! 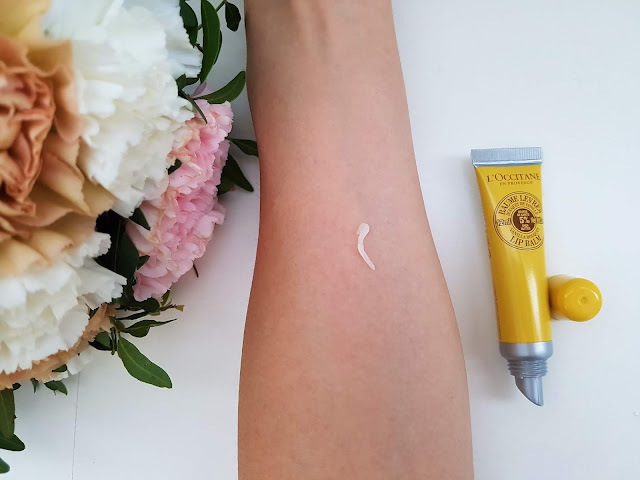 When you try some of L'Occitane products I would like to hear which one you pick for yourself and your opinion about them! Do you like them as much as I do! 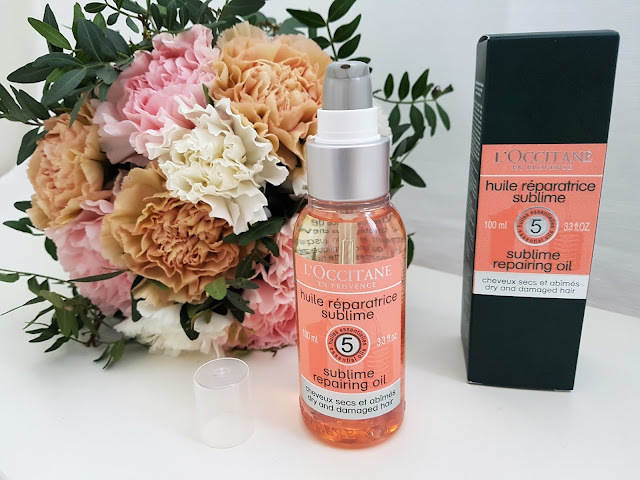 loccitane products are great! I love them! I'm happy to hear that we share same opinion and love for L'Occitane products because I also adore them! Thank you so much for your kind words! I'm happy to hear that you like post and YouTube video! You are completely right, these products are great! Yes, this quote is super true and I like it that you wrote in this way about it! Thank you so much, your words mean a lot to me and I really appreciate them! I completely agree with you that most people want to sell something and they point on imperfection at our bodies. Now you give me idea to write post "How to start love your body". Thank you for inspiration! I like title of your post and definitely plan to read it! 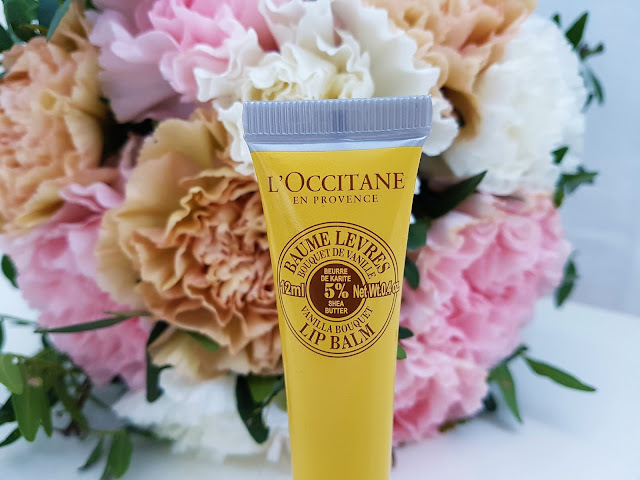 L'Occitane body scrub and lip balm are great products! When you try these products I would like to hear your opinion about them and do you like them as much as I do! I also adore almond range during winter months. Products are great and nourish skin and have divine scent! I'm happy to hear that we share same love for L'Occitane! 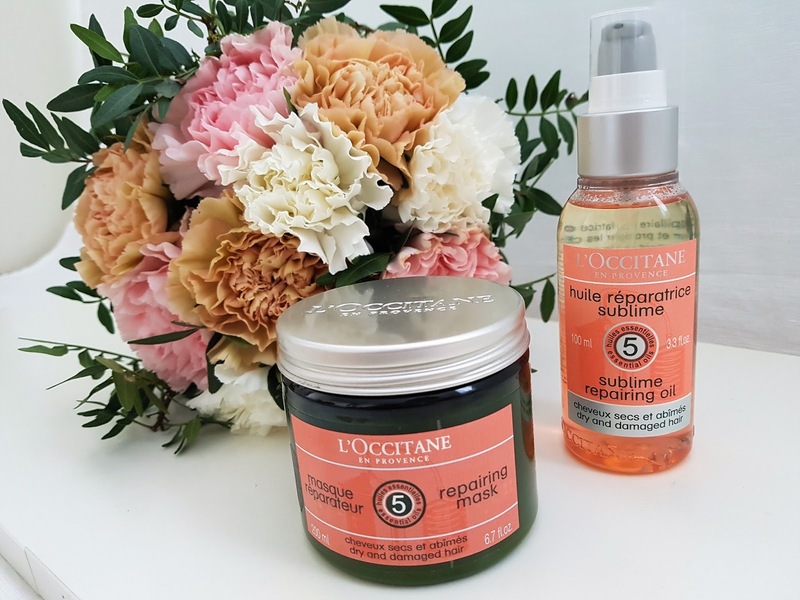 These L'Occitane products are doing a great job for skin and hair. Like you I also adore lip balms and this Vanilla Bouquet is one of my favorites! Every aspect of your blog is just superb! Apart from the cosmetics itself, each of your entries and reviews, including this one, is highly professional, expert and inspiring. It's a privilege to read them. Thank you so much for your beautiful words! I'm trying to do my best and your words mean a lot to me and I'm happy to hear that you like this post and blog!